Did everyone have a great Christmas? I hope so! so needless to say, that's Christmas in a sentence... & of course, its so much more than that. But I havent had time to go over my pictures & Christmas deserves a little more than a sentence wrap up. I mean, it takes over a month to prepare for it. I'm not about to sum it up in one sentence & let it go at that. & we actually still have two more Christmas's to go. One coming up this weekend & another one soon after with our Nashville gang. & to finally decompress some & process the whirlwind of what we've done so far. 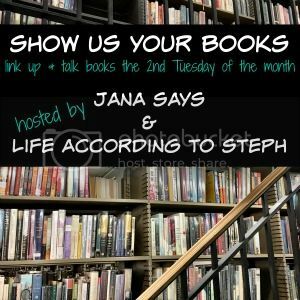 For today, I'm joining in with my favorite readers & doing a year end link up of my favorite books of 2016. So for the year, I hit my goal of 40 books & actually got in 50! GO ME! I'm proud of myself for that - especially because I'm on a reading slump right now. UGH. Who has the time when you spend weekend after weekend doing Christmas things? But here's some of my favorite for the year... the ones that stood out to me. 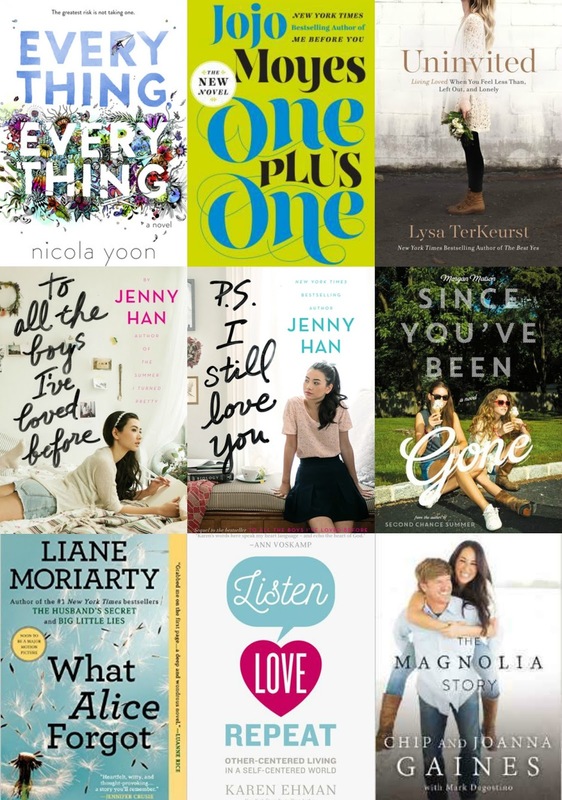 Glad to have some Jojo Moyes & Liane Moriarty on the list for the year - they always are so good to me. & loved the series by Jenny Han - the next one is coming out in 2017. It just made me feel like a teen again. & had some great inspiration reading about the Gaines & Lysa TerKeurst is always speaks to my soul. I keep hearing a lot of people nit-pick this book & not care for it - for me, I think a lot of it is sentimental. It took me back to the wizarding world & to visit with characters that I've missed. I could overlook some things for the feeling that it gave me reading this book, because the FEELS is exactly what it gave me. I loved every page of this book. Completely 100% loved it. Totally my 2016 favorite by far. One I know I'll pick up & read again & again & again. What book stood out for you in 2016? I enjoyed Janet Evanovich's 'Turbo Twenty-three' in the Stephanie Plum series, but I probably liked the latest in her Fox & O'Hare series or the first in the new Knight & Moon series better. Both are fresher and Evanovich's writing shows that she is excited and enjoying them. The Plum novels are feeling kind of tired. I also just got the newest James Rollins, 'The 7th Plague.' It would definitely be a contender, but I doubt I will have it read before the year is over. A month of Christmas - I love it! And thanks for the book recommendations, I just got a Kindle so I'm excited to step up my reading game! Ugg! My comment just disappeared and it was SO long! I guess that's what I get for making such a long comment! Glad you are continuing to enjoy the holidays. I guess I should do a Christmas post too! I only read a handful of books this year but that was a great start for me since I hadn't read any in a few years (since we started blogging). The most memorable one was probably "the Gingerbread girl". I've been dying to read The Magnolia Story, so I'm so glad that everybody just loves their book. Fixer Upper is such a good show, and I love seeing their dynamic with each other on the screen. I still haven't read Harry Potter yet! I'm hoping to have a day where I can just sit down and read it! You are Christmasing it up! I added Everything, Everything to my list to read. Yep, still holidaying over here! enjoy!! Lysa TerKeurst's book is on my TBR list. And I adored One Plus One so much. I've only read two of these books! But I keep hearing everyone rave about Everything, Everything so it's definitely on my list, and I really want to read more Jojo Moyes! 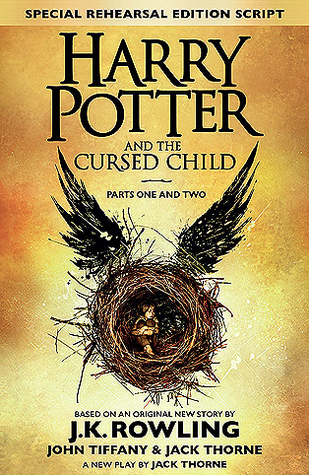 I so want to read the new Harry Potter book. In fact, I told hubby last night, I'm about ready to re-watch the Harry Potter movies. It's time. He said he'd been thinking the same thing. So I guess a Harry Potter marathon will be happening at our house soon. Eveything, Everything was on my list last year. I really really loved it. I'm hoping to read The Sun Is Also a Star before the year is over. I think I've told you before that One Plus One is my favorite Jojo Moyes. I've never read a Harry Potter book but this one seems to have been very popular this year. 50 books, you go girl!! you have the longest christmas season EVER. seriously. i still haven't read the new HP but i know what you mean about things being sentimental. sometimes that is all you need, that feeling, even if there are issues with the book (or tv show or movie or whatever). I read Magnolia and loved it. I'm not familiar with any of the other books you mentioned. Will have to check out a couple of them! Looking forward to the first half of your 4-week Christmas celebration! I'm so glad that you loved Cursed Child so much, since you DO hear a lot of nitpicking about it. I love reading plays, so the style was good for me and I just loved going back and meeting their children, etc. It was great. I got to see the play after reading it, and it was amazing. I think MORE people would love the book too if they saw it live - so I'm hoping they'll film it at some point. That would be great. I need to read more JoJo Moyes! I finally read Me Before You this year because of the film and I loved it. I have One Plus One on my list for Erin's 6.0 Reading Challenge. I'd also like to read The Magnolia Story. Enjoy your extended holiday! I totally agree with what you said about HP & the Cursed Child-- it was so fun to read! One Plus One is one I'd like to reread again sometime soon! I had a feeling you were going to say a Harry Potter book was your favorite! I read 50 books, too, woohoo! Hope I can read more next year x). Can you believe I still haven't read the Harry Potter book? What is wrong with me? I also want to read the Chip & Joanna Gaines book. I love them!